There are actually two plants by go by the name of "Dumb Cane", the Dieffenbachia "Exotica Compacta" and the Dieffenbachia camilla. The differences have to do with the variegation. 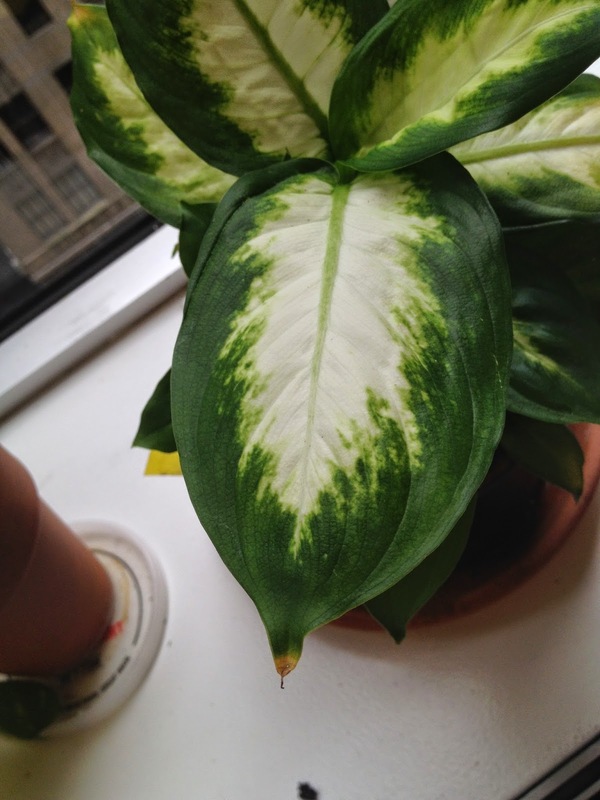 Both have broad, green leaves, but Exotica Compacta seems to have a more "splotchy" look to the whiteness in the middle of the leaf, while Camilla (pictured here) has a more solid white pattern. In either case, they have similar air cleaning qualities and both are stunningly beautiful houseplants. The reason it's called "dumb cane" is interesting. Their sap contains calcium oxalate. You might recall this also occurs in Golden Pothos; as with that plant, if you bite into any part of the plant it can cause your throat to swell and you can lose your speech for several days. This is why you want to keep these plants far from children and pets. You'll want to keep these plants in bright, filtered light; if the setting is too dark the leaves can lose their variegation. It's another plant that's easy to grow and just requires fertilization every month and to be always kept moist (misting is also good for it). 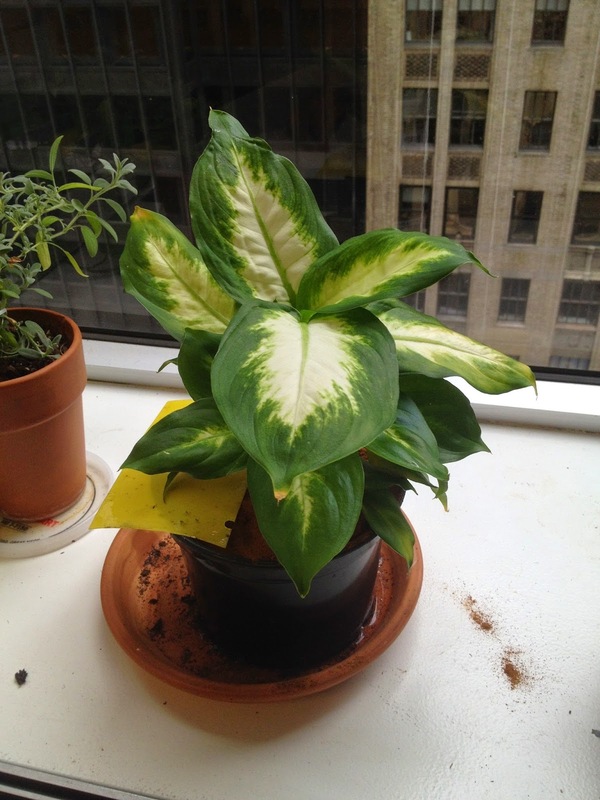 You can purchase this plant at most plant stores, or if you can get a Dieffenbachia on Amazon from various sellers. 1) Temperature: Keep between 65-80 degrees Fahrenheit. 2) Sunlight: It likes bright, filtered light such as what you find by a window. 3) Care and feeding: Keep soil evenly moist but not soggy. Feed monthly and keep away from drafts.